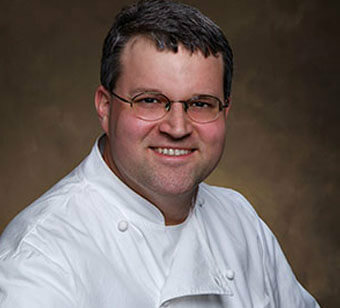 Twice nominated as Best Chef in the Northwest by the James Beard Foundation, Matt Bennett of Sybaris is known for his inventive creations based on fresh Northwest ingredients. Bennett, who was trained in the classical French tradition, creates a entirely new menu every month. While the dishes may be constantly changing, the common factors are always equal parts eclecticism, classical preparation, and innovation. He is also known as an expert in the cooking traditions of Oregon’s native peoples and has collaborated with the Grande Ronde tribes to create menus that honor their traditional foods.